A&B Business :: Why Make The Switch Over To Electronic Document Management? Why Make The Switch Over To Electronic Document Management? An electronic print management system is a great way to boost your bottom line whether you're a new or existing business. Electronic print management allows you to go paperless while staying organized, compliant, and efficient. It may be stressful to think about going paperless if your business has been established for years, but it will be a huge step toward greater productivity. In fact, going paperless and opting for an electronic print management system has too many benefits to ignore. Think about how many copies you make of a single document to send to colleagues, co-workers, partners, and bosses. The average employee's printing expenses can cost a business between $600 to $1,300 a year. It's for this reason that copier and printer costs are the third-largest expense behind rent an payroll. 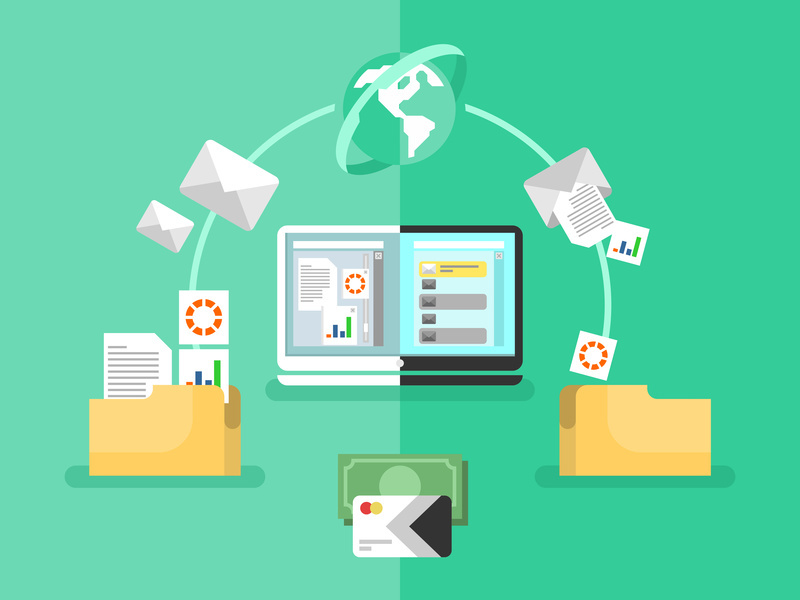 When you use electronic print management services, you're able to send, save, transfer, and share your documents with whoever needs to access them without having to print the document at all. In a paperless office, you can access the necessary files and send them from nearly any device, making an electronic document management system not only faster than your average paper system but also more convenient. It's crucial to stay in compliance with your company's regulatory guidelines and, just as important, to provide that you're compliant with these guidelines. For instance, an electronic document management system allows you to keep track of all of your necessary documents whether your business has strict OSHA guidelines and regulations that need to be well-documented or you need to keep extensive IRS and tax files. An electronic system makes it easier and more convenient to access the documents you need to prove your compliance during inspections and audits. You won't have to rifle through documents or hunt down the ones that have been misplaced. Where can I get more information about document management systems? If you're interested in installing an electronic document management system to boost your office's productivity and efficiency, A and B Business Solutions has the managed printing services you need. Up to 7.5% of all documents are completely lost. With electronic document management systems, you won't have to worry about losing your documents. To learn more about our document storage systems and solutions, contact A and B Business Solutions today.